Fire sprinklers save lives! That’s a fact. According to the National Fire Protection Association, fire sprinklers operated in 91% of all reported structure fires large enough to activate fire sprinklers, excluding buildings under construction and buildings without sprinklers in the fire area. When fire sprinklers operated, they were effective 96% of the time, resulting in a combined performance of operating effectively in 87% of all reported fires where sprinklers were present in the fire area and fire was large enough to activate them. And if that doesn’t prove that fire sprinklers save lives, here are more facts. Sprinkler systems slash the odds of dying in a fire by more than 80%. Sprinklers vastly reduce the dollar cost of fire damage. 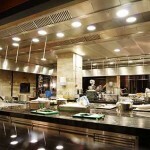 One study showed that sprinkler systems cut the cost of fire damage in restaurant settings by more than 75%. Today’s sprinkler systems are far more effective and reliable than those built just a few years ago. Water sprinklers, for example, function correctly even during extensive, fast-spreading blazes. A modern sprinkler system can extinguish flames while causing minimal water damage to the property. In fact, more often than not, sprinklers contain a fire within the room in which it originates. This can make all the difference between a minor incident and a major disaster, resulting in saving lives as well as saving on damage expenses. Fire sprinklers are highly effective because they react quickly, and that can extinguish the heat, flames and smoke that a fire generates. Fire sprinklers need to be professionally installed to ensure that it is performing properly. Fire Control Systems has the knowledge and experience to get it right. Rest assured our installation of a fire sprinkler system will be tested, so that we are confident it is working well, and ready to save lives if a fire should occur. Contact us today if you have any questions, or would like to get started. What are Water Mist Systems? Certified distributors for some of the leading safety equipment manufacturers in the industry.